US — L&L C+S CO. This walk of faith began in the Rino District (27th & Lawrence) in March of 2014. John Chapman IV, a background as a wardrobe stylist and sales associate for Polo Ralph Lauren and Keyonna Chapman, an advertising and marketing guru and once J. Crew sales associate decided to follow their dreams of owning a retail shop. The first location was rounded off to 150 square feet and was tucked away in a shared office space, with no foot traffic and barely any sunlight. With great response and support from friends, family and a great amount of word of mouth, Lawrence & Larimer out-grew the tiny space and moved around the city doing multiple pop-up shops with Buffalo Exchange, Levis, Happy Socks and Goorin Bros Hat Shop, creating a substantial following of national clientele. 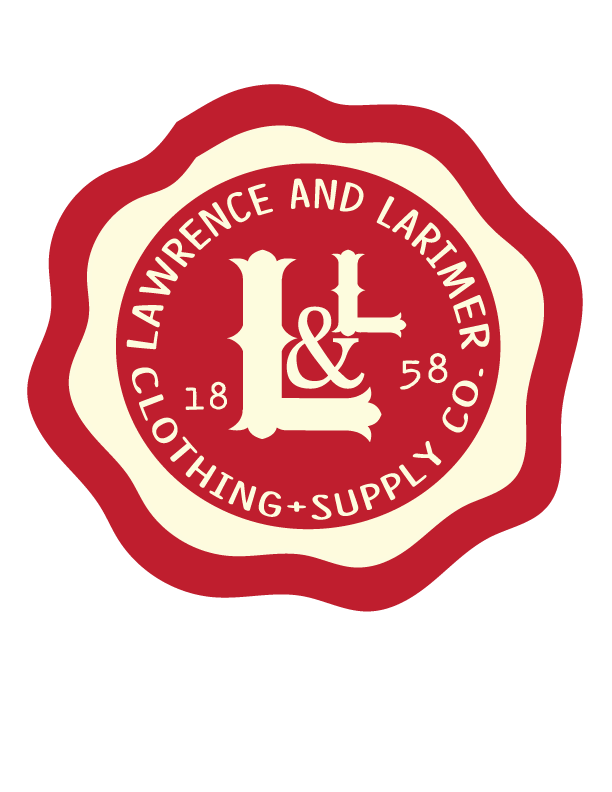 In May 2017, L&L officially opened its own brick and mortar next to the extremely popular Denver Biscuit Co. on Colfax Ave in Denver, Co. Today and every day, L&L supplies world wide clientele with exclusive apparel, accessories and lifestyle supplies; becoming a recognized brand around the globe and we have you, the customer to personally show our gratitude. We appreciate you hanging in there with us and being a part of our constant growth. THANK YOU! Kansas politician, General William H. Larimer "claim-jumped" his way into Colorado and officially organized and named the town Denver in November 1858, although the Arapaho Indians were the first to officially settle in Denver. General Larimer named the town after the Governor of Kansas, James W. Denver, to earn favor within the political circle. While Larimer's scheme did not work as planned, the city of Denver quickly took on character and began to grow. With its growth, Larimer and a few others named the unbuilt streets after themselves. Charles Lawrence was quick to lend his name to the road running parallel to Larimer Street, giving the supplier you now know as Lawrence and Larimer. With our company, we strive to educate and inform all, while keeping in great style. Though originated in Denver, we create products for everyone around the globe. Each item is made with purpose, originality and complete appreciation of history and our customers. Our elevator pitch is simple: Lawrence And Larimer is a versatile, exclusive and comfort clothing company, mixed with dope crafty decor and supplies - all inspired by spaces, art music and street styles. The accessories that we design and carry are second to none. Our candle scents are memorable, designs are impeccable and our custom pennants and banners are reminiscent of home. How far we've come in the last 4 years has been tremendous. However, there is always work to be done so we will continue to press towards the mark. We always strive to improve the shopping experience for the customer and community. In mind is always the goal to grow and expand. Within the next 5 years, we plan to operate at least two locations within the United States, also adding at least 5 strong and consistent stockist locations.